WWE 2K19 arrives as the latest entry to the WWE video game franchise and features cover Superstar AJ Styles. WWE 2K19 promises a big roster of popular WWE Superstars, Legends and Hall of Famers, as well as NXT favorites. 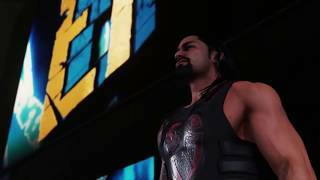 "Almost Ready For The Main Roster"
WWE 2K19 (Xbox One) is ranked #1010 out of 1434 total reviewed games. It is ranked #85 out of 146 games reviewed in 2018.